Turnover was 0 SEK (0) and the operating result was -1 661 643 SEK (-1 172 182). The negative result is attributable to development costs, including personnel cost. Balanced development cost amounted to 15 858 003 SEK at the end of the period (12 049 675), in addition to patent costs of 1 024 345 SEK (729 619). Cashflow for the period amounted to -2 830 863 SEK (-1 529 751). Cash amounted to 7 519 530 SEK (16 517 350) at the end of the period. Shareholder’s equity amounted to 22 545 475 SEK (27 545 628) at the end of the period, of which the result for the period amounted to -1 664 936 SEK (-1 175 475). No changes other than the result for the period and transfer to Fund for development costs has affected the shareholder’s equity during the first quarter. The world has in 16 year old Greta Thunberg been blessed with a young climate ambassador with a clear message: “You say you love your children above all else, and yet you are stealing their future in front of their very eyes.“ SeaTwirl is working to preserve the future of both Greta and other children through clean electricity production. But as Greta alludes to, good intentions are not enough, cost efficiency is also needed. We continue our work towards launching a SeaTwirl turbine of 1 MW in the sea in 2020. We have not yet made decision about test site, but Norway is a top contender as you can glean from our news flow. We have already set up a Norwegian subsidiary to prepare for the eventuality that Norway is chosen. And in October, we signed a power supply deal with Haugaland Kraft, which means that they will buy the electricity we produce in case Norway is chosen. In December, we joined the Ocean Energy Scale-Up Alliance and received a grant of 430 000 euro from Interreg North Sea Region. 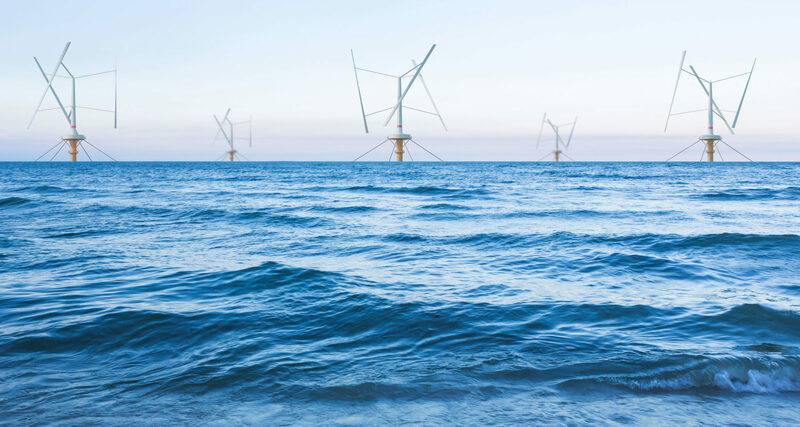 The purpose of the alliance is to speed up the buildout of pilot projects for offshore energy in the North Sea Region and means that we get free access to some consultancy services in addition to the grant. We are obviously happy for the support and we think of this an indication of two things. Firstly, that we have a solution that the experts who decides the grants deems promising. Secondly, that our industry, renewable energy, enjoys broad support from society and is a political priority, even though we agree with Greta that more needs to be done. The Swedish Ministry of Foreign Affairs showed their support by showing off SeaTwirl in their social media campaign for green innovations in December and January. Together with a few other Swedish companies, SeaTwirl are having meetings with Taiwanese industry and the administration to create a network ahead of the big expansion of offshore energy that Taiwan is launching. That is one example of ongoing work to research future markets. SeaTwirl has come a long way in the development of the 1 MW system and will in the near future be choosing partners for construction and manufacturing of parts for the system as well as the important offshore installation. The intent is that a few selected partners become shareholders. Our solution and our expertise have made us into an attractive partner, which is shown by all the cooperation agreements we signed last year, among others with Chalmers, Rise, KTH, LiU and Siemens. It also shown in that industry heavy weights such as MHI Vestas’ former CEO Jens Tommerup chooses to join our board. The market for floating wind power will be huge in the future and our cost-efficient solution has every possibility to make a big mark. In 2019, we will take several important steps towards that goal. The whole report is available in Swedish here.